This paper explores Shawna Dempsey and Lorri Millan’s performance art piece Lesbian National Parks and Services, in which they enact the persona of lesbian park rangers. After investigating ways that white European settler surveyors and early park rangers formulated a narrative of Canadian wilderness embedded with colonialism and heteronormativity, this paper questions how Dempsey and Millan subvert these myths with their effective enactment of the park ranger persona. Dempsey and Millan’s ventures into the frontiers of the previously uncharted lesbian wilds thus serve to redo what the original park wardens and surveyors did, but this time without the omission of their own queer identities. 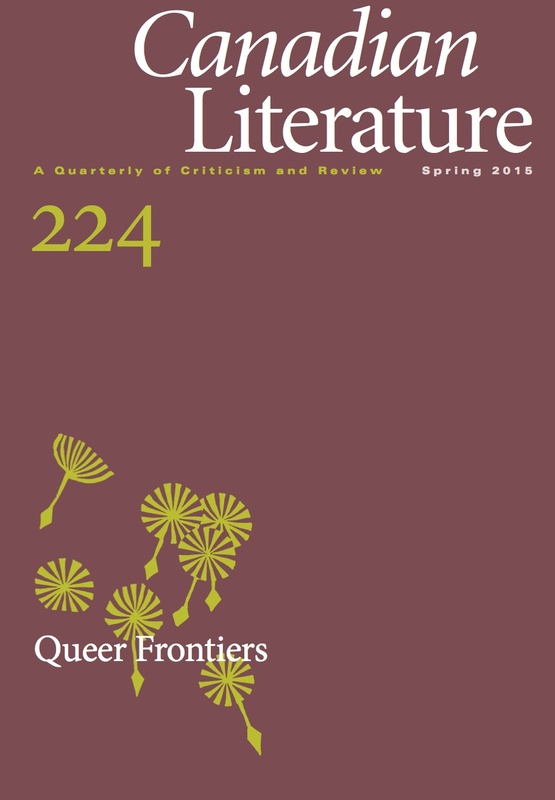 Finally, this paper considers how we might move even further into this frontier—away from the masculinist colonial construction of Canadian wilderness, toward a narrative of nature shaped by desire, including queer desire. Jennifer MacLatchy is a graduate from the MA in Women and Gender Studies program at Mount Saint Vincent University in Halifax. Her research focuses on queer ecologies, landscape, colonialism and Canadian national identity, and the ways in which performance art runs through all of these. She also holds a Post-Baccalaureate Certificate from NSCAD University, and a BA Honours from Carleton University.